Boost Sales With Future Views! We provide amazing 360 degree aerial panoramas of your development's "future view"
A rare and powerful tool sell based on views, virtually on any device, anytime. With over 100,000 future view aerial photography images taken Thats a lot of photos! , PanoDrone is the right choice for your development needs! Simply put, it’s the most complete and trusted Experience Matters! 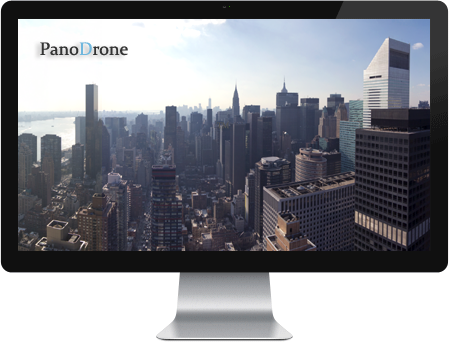 Panoramic drone development media provider on the market, specializing in urban flying. See some of our favorite places (New York – Miami – Los Angeles) to get our drone on right here on PanoDrone. Whether you are a developer or real estate agent, PanoDrone is for you. It’s simply made to enlighten That's Right, It's For You! , and to help your sales increase even before construction is complete. We truly care about our clients and their end product which is why our clients love PanoDrone! Flying over 10 years! You will too with amazing high resolution Panoramic views & incredible support. PanoDrone takes you to new heights by elevating your awareness to where it should be in the know. Drones are cool! We are happy to provide our clients with a new perspective with aerial panoramic 360° photos or videos. It just doesn’t get any better than this. With over 100,000 photos taken and counting Experience Matters! , PanoDrone is the right choice for you! Simply put, we are the most complete and trusted We Love Our Clients! 360 degree Panorama Drone Photography company in the industry. Welcome to PanoDrone. We offer a unique type of aerial photography service using a purposely designed flying drone to create a highly specialized type of 360° panoramic aerial photo. Using some of the most advanced drone technology available, we have custom built a flying drone that is specifically suited to take premium quality panoramic aerial photos for real estate development or marketing purposes. The primary usage for the 360 panoramic photos is specifically to obtain ‘Future Views’ of what it will look like from the different floors of the building not yet constructed, which is also known as a ‘View Study’. This type of View Study future aerial photography media often takes place in urban areas since this is where most high rise buildings and condos are constructed. These drone photo views of high rise buildings with such commercial real estate panoramic photos offer spectacular Future Views for potential buyers. Using other means to view these Future Views are often difficult due to the surrounding city environment which is densely packed with other buildings making it impossible to fly a manned helicopter at lower altitudes over the site, for obvious safety reasons. 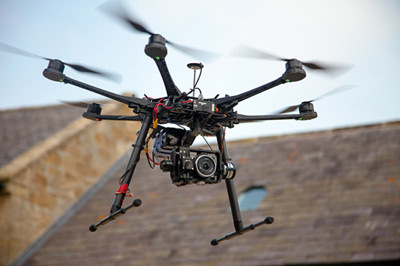 The only device capable of flying safely in this type of dense urban environment, with out lower altitude limitations for photography, is a small drone or uav (unmanned aerial vehicle). That is PanoDrone’s sweet spot. We can now obtain, what was once impossible to obtain before – imagery from those precious points in space where your condominium or other development will be constructed. The aerial imagery is typically edited into 360 degree aerial panoramas that can be used online or in print. This aerial media or panoramic photo helps sell millions in real estate while eliminating guess work for sellers and buyers. Buyers no longer have to guess about what the view out their high rise window will be when the building is finished. 360 Panoramic. Typically we offer future photography views from every 5-10 floors on a new construction, from a single point over the property. Sometimes we take photos from several points on a single property to offer more precise views from specific apartments. For example an 800′ tall condominium building developer will have us take drone photography every 5 to 10 floors offering spectacular aerial panorama views; that’s a view for every 50 to 100 feet in altitude. Simply email us the altitudes and points over your property you wish to photograph from and by using GPS and special altitude measuring instruments within our drone technology, we will provide views from the building in development to assist with your pre-sales. Often 3D rendering companies will use PanoDrone’s service and compile our current view with their edited future virtual apartment (placing our view out the virtual window) which adds significant sale value and a real view to look forward to. 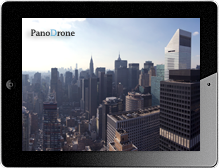 PanoDrone’s home base is in New York City, so we are familiar with the big city appeal and needs. 360 Aerial Photography New York has never been so easy. Most structures that go up in NY are in Manhattan, however we also service Brooklyn and Queens as well as the rest of New York and the state of New Jersey or Connecticut. With that being said, our travel area includes the entire United States. We frequently service Miami, Los Angeles, Boston, Chicago, Philadelphia and other major U.S. cities. Our mission is to ensure our clients are satisfied with our unique drone product. We love what we do, it shows, so we think you will too. Our Philosophy is based on honesty and integrity. We value each of our clients and perform with the highest level of professionalism. We promise you will be completely satisfied with your development panoramas. We promise to complete the drone project and deliver your final product on time, every time. I hired PanoDrone to get the future views of what it would look like from a project before we struck ground in Manhattan. Everyone at the office was so glad we did, the views were amazing! This will help us sell more units during pre-construction. It makes me wonder what did we ever do with out this service before? I would like to recommend it to all developers. Just seeing the drone fly is so fun! You allowed us to take aerial pictures of our project that would be impossible to obtain without your service. Helicopters are unable to fly this low on urban areas, and a boom lift maxes well below 200ft vertically. With your help we were able show future views from penthouse units in the New Orleans French Quarter. We appreciate your attitude, professionalism, and service. Let me say something. You have an amazing service and awesome support. They helped me on weekend get this done for a deadline we had for the 3D render. This is what I call an “extra mile” in customer relationship. So I gave 5 stars to PanoDrone for making it happen. We are very satisfied with the quality of the images and professionalism of work. Completely operated and flown by professional pilots only. See how PanoDrone can help boost your real estate development sales! 360 Degree Panoramic Drone Photography at specific altitudes or elevations are sometimes refereed to as a "View Study" or as "Future Views". No matter what you call it its sure to set your property apart from the rest. In today's competitive real estate market the question is ..can you afford not to provide "future views" a sales tool for your marketing team?